Uh yeah so here we go again…. Damn. This series is so good. I absolutely loved the first book. It was interesting and very unexpected. I really didn’t expect the twist they added, although now that I think about it….maybe I should have seen it coming haha xD The second book was pretty good, although I still preferred the first book better. So, when I found this book, I really was excited to read it. And man I was very impressed. I also liked how it was constantly they lost, they won, they lost, won and so on. It kept me really intrigued and I couldn’t stop reading because I wanna know what’s gonna happen next. I never quite know exactly when they’re goona win if he’s really gonna die. And then suddenly something good will happen and he’ll win! Haha. Overall it was really nice. Just like the previous two books the best part of this book was also the way that Jaron would use his wits and brains to overthrow his enemies. It was a very good way to keep me entertain I think. 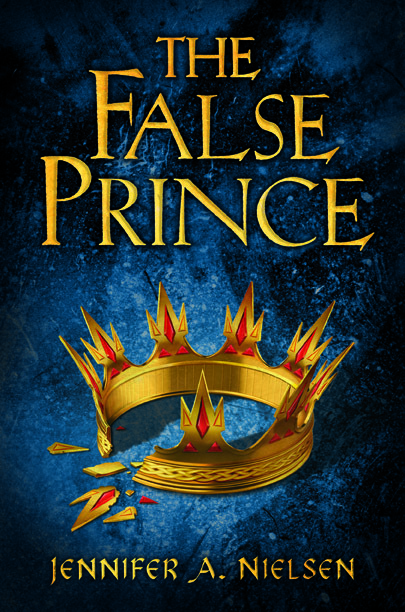 Summary (goodreads)- THE FALSE PRINCE is the thrilling first book in a brand-new trilogy filled with danger and deceit and hidden identities that will have readers rushing breathlessly to the end. In a discontent kingdom, civil war is brewing. To unify the divided people, Conner, a nobleman of the court, devises a cunning plan to find an impersonator of the king’s long-lost son and install him as a puppet prince. Four orphans are recruited to compete for the role, including a defiant boy named Sage. 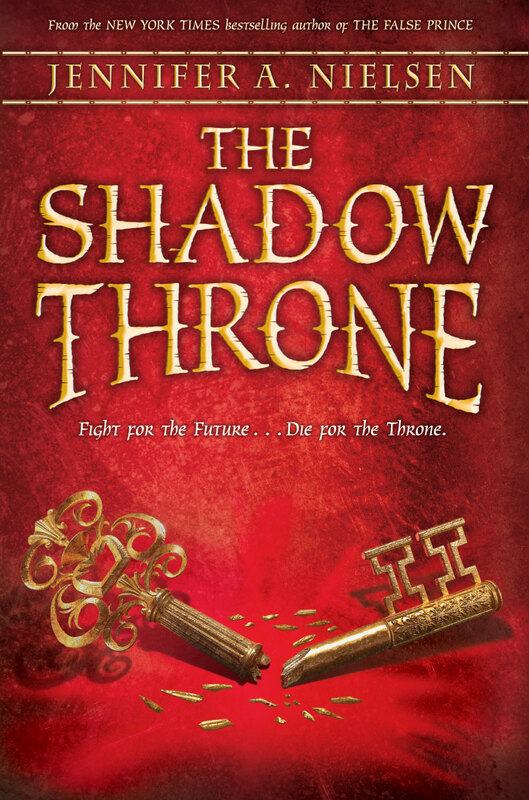 Sage knows that Conner’s motives are more than questionable, yet his life balances on a sword’s point — he must be chosen to play the prince or he will certainly be killed. But Sage’s rivals have their own agendas as well. As Sage moves from a rundown orphanage to Conner’s sumptuous palace, layer upon layer of treachery and deceit unfold, until finally, a truth is revealed that, in the end, may very well prove more dangerous than all of the lies taken together. An extraordinary adventure filled with danger and action, lies and deadly truths that will have readers clinging to the edge of their seats. Well, this book was just way better than I expected. I’ve been reading a lot of dystopian novels lately, so I just needed a break from it. What better genre is there to read other than fantasy? Roden and Tobias were kinda like different sides of a coin. Tobias started out being the selfish, annoying character and Roden was the loyal, kind friend. However, that completely changed, and I was genuinely surprised. I can’t wait to read more about them in the next book. Conner was also…hard to figure out. I knew he wasn’t a good guy, but I also didn’t think he was necessarily evil. This is why I like the characters in this book. You read it halfway and thinks you understand the characters. But then the story flipped and everything changes. It was very surprising and exciting. A lot of things in this book was very unexpected. I also liked the minor characters such as Imogen and Mott. Imogen was a nice and kind girl, but to be honest I don’t really know much about her yet. I hope this means that I’ll be seeing more of her in the next book. Mott was also a nice character as he was some sort of a protector/guardian for Sage. He was strict, ruthless but kind and incredibly loyal. I just look forward to seeing how much more these characters are going to grow. There were also interesting things that were taught to the orphans. Such as, table manners, dancing, horse-riding, sword fights etc. Did you know that when nobles ate soup, they scoop the food away from them not towrds them so that it wouldn’t spill. Interesting huh? At around halfway, I was considering 4 stars but then everything flipped and I went to about 4.5-5 stars. So yeah, I loved it. I’m really looking forward to the next one!! I hope it comes out soon! !